"Gamers will be able to get their hands on a single player demo from Saints Row at the beginning of August. The demo is slated to release through Xbox Live Marketplace on August 1st and it will also be available on the Official Xbox Magazine Cover DVD"
So our good friends over at Joystiq have apparently buddied up to an "insider" at Xbox manufacturer Microsoft (sorry Bill, it wasn't our idea), plied him/her with some promotional swag and design ideas, and come away with details on all your favorite 360 peripherals, including the highly-anticipated Live Vision cam. Still set to launch on September 19th, the XLV camera will reportedly cost $40.00, and included in that price are a wired headset, the card-game-turned-Live-Arcade-hit UNO, and a free one-month Gold subscription to get you hooked on introduce you to the online service. Joystiq's mole also revealed the following price points for accessories to be released during the "holiday season": $60 for a wireless headset with 30-foot range, another $60 for a 256MB memory module, and $20 each for various game-themed faceplates or a wireless adapter to make 360 gear compatible with your Windows PC. We're still waiting to hear such details as the prices of the wireless racing wheel and HD-DVD add-on, or whether Microsoft will release an un-bundled version of the webcam, so here's to hoping that Joystiq's new friend comes calling again real soon. Our friendly anonymous source at Microsoft has provided us with a few more details concerning the 360 accessories announced back at E3. 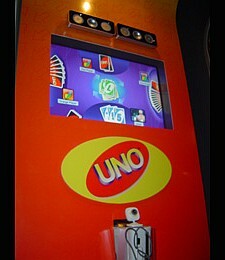 Perhaps the most important involves the bundling of the Xbox Live Vision camera with a wired headset, the popular Live Arcade title UNO, and a month of Live Gold service for $39.99 when it releases in the States on September 19, 2006. It's been months since Bethesda Softworks shipped The Elder Scrolls IV: Oblivion, and while the company's pimped their downloadable content to no end, a patch to fix some of the rough spots that weren't ironed out before release has been long coming. At least the wait's not far off now. The company confirmed to 1UP that an official patch is in the final stages of development and certification, and should be available for both PC and Xbox 360 users sometime next week. But what if you don't have access to Xbox Live? The company's looking into a number of options, including bundling the patch onto a disc with the Official Xbox Magazine. "We'll make it available via whatever means are out there for any game to get updates to people playing the game," said public relations head Pete Hines. Thanks to an insider source we have now uncovered the achievements available for Xbox Live Arcades next big hit, this title is being developed by Capcom and is none other than Street Fighter II Hyper Fighting. We don't currently have the pictures associated with the achievements but thanks to this tip we have all of the points and descriptions to the possible achievements. -Play a match with all twelve characters in single player arcade mode. -Complete single player arcade mode without losing a match. -Complete single player arcade mode without losing a round. -Achieve ten wins during ranked online play. -Achieve thirty wins during ranked online play. -Complete a perfect bonus round in single-player arcade mode. -Complete the single player arcade mode. -Play a match in the online quarter mode. There you go all of you gamerscore addicts, you now know what you have to do in order to score another 200 points as soon as this game is released. Capcom's beloved Devil May Cry series may be coming to an Xbox 360 near you. 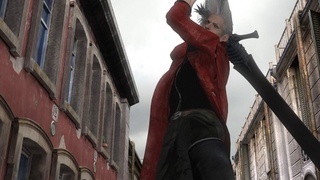 DMC producer, Hiroshi Kobayashi, recently told Japanese magazine, Famitsu, that he expects Dante to make a next-gen debut on the Xbox 360 and Wii and not the PS3. Kobayashi also said that there will be changes in the games such as the fighting system and making the difficulty suitable for all players. Right now the tentative title is "Devil May Cry 4" however this may change with devleopment.